It’s official folks: ARGfest-O-Con 2007 is coming to San Francisco and plans to leave its heart there the weekend of March 2-4. The focus will be on “How to PM a Game” and “The Future of ARGs” (working titles). Save the date! And after you scribble it down excitedly on your Dilbert calendar, or type it excitedly into your Nerdtastic Online Scheduler 6000XV, find your to-do list and write down the following: Help plan ARGfest. Yes, this is your chance to jump in at the beginning and help put together the best fest yet. Rose, Unfiction regular and ARGfest NYC hostess extraordinaire, has once more agreed to helm the efforts to get this show up and running, and she would really like some local help to get logistics settled as soon as possible. Specifically, she needs people familiar with the city and its environs to suggest local venues for hotels, restaurants, amusements, potential field trips, and/or any other information about the area that you can provide. She promises you will not be overburdened. We also need volunteers to suggest and help coordinate speakers/panels, and help run the registration process. You do not need to be local to do this. 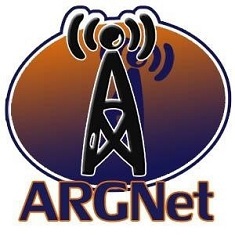 Would you or your company like to help sponsor ARGfest? Contact Rose to discuss the possible arrangements. PM her at the Unforum (user name: rose) or add yourself to the handy ARGfest-O-Wiki on the Help page with your preferred contact information. See you by the bay!